Fair. 081227140021 Disc is in rough condition with moderate defects. If it does not play we will refund you in full. May be missing online digital copy or liner notes. We ship in recyclable American-made mailers. 100% money-back guarantee on all orders. Braddock/Prine; Burns/Prine; Fritts/Prine; Prine; Salley. Very Good. In very good packaging. 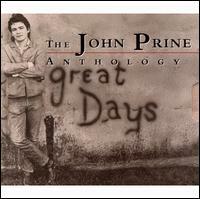 John Prine-The John Prine Anthology: GREAT DAYS by John Prine. EX. 2 CD SET IN SLIPCASE WITH BOOKLET. Very Good. Very Good condition. Audio CD. Case Very Good. Booklet Very Good. 2 disc set. Quality guaranteed! In original artwork/packaging unless otherwise noted. Very Good. 081227140021 ALL ORDERS SHIP WITHIN 24 HOURS. Tracking is always included. This 2 CD set is in Very Good condition. All discs are Guaranteed. This item purchased from a national charitable organization thanks to your purchases we can continue to support them. Buy with confidence over 40, 000 happy customers. All shipping materials 100% recyclable. REUSE-RECYCLE-REBOOK. 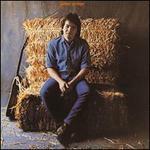 If you are a fan of John Prine's you will love this anthology. There is a little something for everyone from each stage of his career. With over 40 songs titles, there is a lot of music to enjoy!